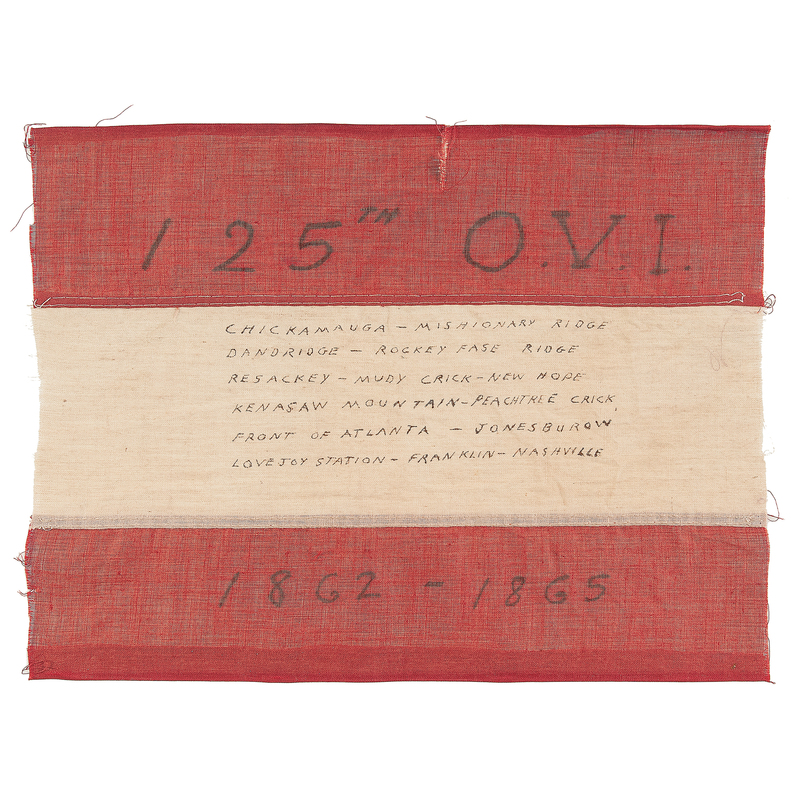 Issued to the 14th Tennessee Infantry in the summer of 1862, this flag was carried into the works during Pickett’s Charge by Tennesseans from Robertson, Montgomery, and Stewart counties. 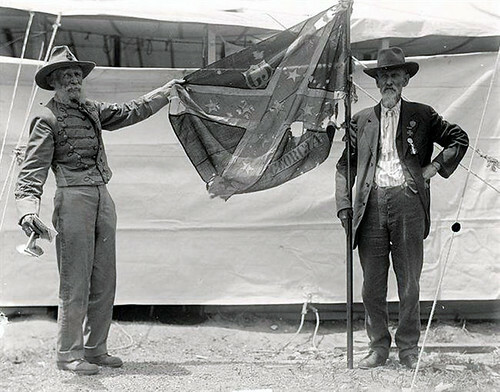 Held at the U.S. War Department for decades, about 500 captured Confederate battle flags were returned to the former Confederate and border states in 1905. This Richmond Depot flag of the 14th Tennessee Infantry was one of those, and it currently resides at the Tennessee State Museum. Sir: In compliance with your request to send you the rebel battleflag captured by my regiment at Franklin, Tenn., together with a statement of the circumstances attending its capture, I have the honor to report that the flag was captured by Private James S. O’Riley, Company I, under the following circumstances: After a part of the second line at the battle of Franklin had given way a number of the enemy came over our works and some into the yard of the brick house just to the right of the Columbia Pike. Private O’Riley with others stopped behind the house, and the fire they opened prevented the farther progress of the enemy at that place. O’Riley did not long remain behind his shelter, but sallying out met a color-bearer of the rebel force at the other end of the house, and running him through with his bayonet carried off his flag in triumph. 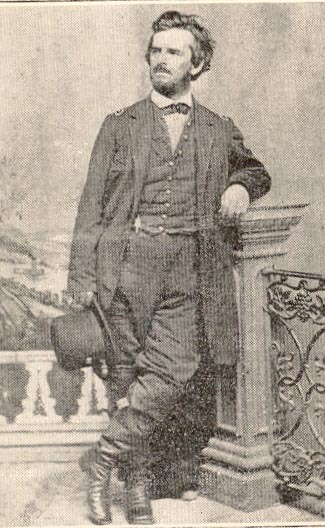 Colonel Blake afterward obtained the flag and probably knows where it is. I shall request him to send it back to the regiment. Last May I blogged on the story of the 65th Georgia’s flag being restored and now proudly displayed at the Southern Museum of Civil War & Locomotive History. In that blog post I submitted a picture of the flag bearer John Davis. Well, thanks to a diligent researcher of the American Civil War Roundtable of Queensland – from Australia of all places – a new “old” picture of the 65th’s flag, and of John Davis, has come to light. Check this new image out. Davis is on the right. June of 1917 at a Confederate reunion in Washington, DC. What a great picture. Here’s the restored 65th Georgia flag today. SCV Roderick Camp is hosting a fund-raiser Saturday, August 7th in Thompsons Station, south of Franklin, to raise the additional funds needed so the SCV group can preserve the original silk battle flag that was carried by the 20th Tennessee Volunteer Infantry. The 20th TN saw action at the Battle of Franklin (1864). The group has already raised $38,000 but they still need to raise another $13,000 for the flag restoration project. The SCV Roderick Camp will hold a benefit concert Aug. 7 to raise funds for the flag’s restoration. The concert will be at the Smithson/Mangrum antebellum home at 4762 Peytonsville Road near I-840 southeast of Franklin. Gates open at 3 p.m., and tickets are $20. Performers include the Winters Brothers Band, Phoenix Rising, Darren Brothers Band, along with nationally known speaker Thomas Cartwright. More information is available by calling Mangrum at (931) 374-8368 or contacting him by e-mail at celticgranda2@yahoo.com. Additional details can be found by searching for “20th Tennessee Volunteer Infantry” on Facebook. Donations to restore the flag can also be made to Roderick Camp 2072, 1114 Galloway St., Columbia, Tenn., 38401. Ronnie Mancrum is with the 20th TN SCV camp. The Columbia Daily Herald ran a good article on the flag restoration project on August 2nd. Full story.